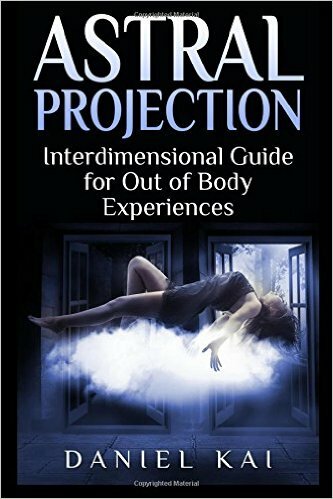 Today I'm reviewing the book Astral Projection: Interdimensional Guide for Out of Body Experiences by Daniel Kai. This is another small book. It's just 42 pages long. The font is decent and the margins are small, but there's just not a lot of content. Still, it's a lot bigger (and a lot better) than Michele Gilbert's book which I reviewed last time. And unlike Gilbert's book, it has some very interesting things to say. 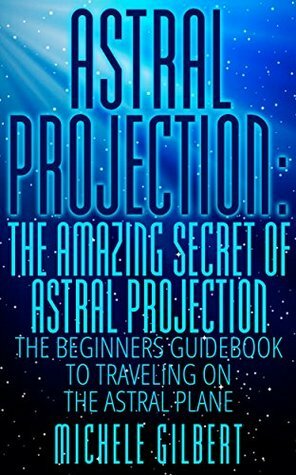 Chapter 2 is titled "Is Astral Projection Safe?" In one word: Yes. It is a legitimate concern, but: yes. Chapter 3 is "A Very Brief History of Out of Body Experiences". Like Gilbert, this discussion is small and lacking, but he does a better job than Gilbert. He does talk about Incubi and Succubi (male and female sexual demons traditionally seen in bouts of sleep paralysis). 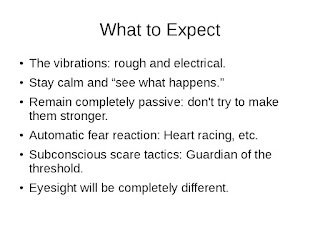 In my opinion (only) they are, in almost all cases, manifestations of subconscious fears, but it's always best to be very cautious with the "astral wildlife," as Robert Bruce likes to call it. Chapter 4 is "A Closer Look at Sleep Paralysis". This is where the book gets interesting. It becomes more and more clear that Daniel Kai approaches the out-of-body experience mainly from awareness during sleep paralysis ("ASP"). That's his main thing. So let's talk about ASP. Kai writes as if sleep paralysis will free you from your body and from there, you're simply free to roam. In my experience, it's not that easy. 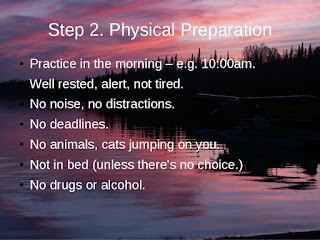 I've had countless bouts of ASP, and although I'm technically in an OBE state, I'm usually glued tightly to the physical body, and unable to move, either astrally or physically. This is a serious problem Kai fails to mention. 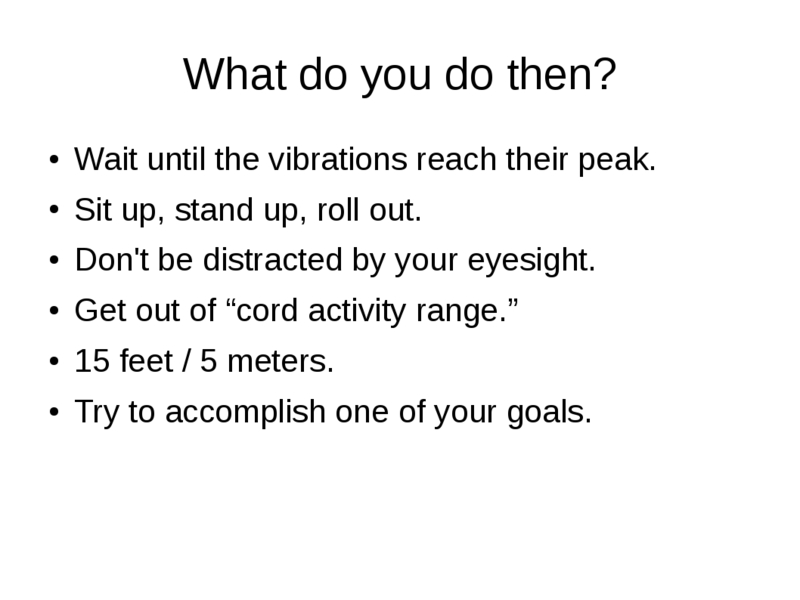 For me it was extremely frustrating, because I could induce "normal" OBEs directly from a waking state, with full mobility, but with ASP, I was stuck to my physical body and completely unable to move. 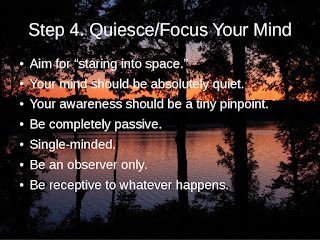 Until, after twenty years of experimentation, I finally discovered the secret of how to get my astral body unstuck and turn ASP into OBE. It's all documented in this short article I wrote in 2002: What Everyone Should Know About Sleep Paralysis, ASP and OBEs. 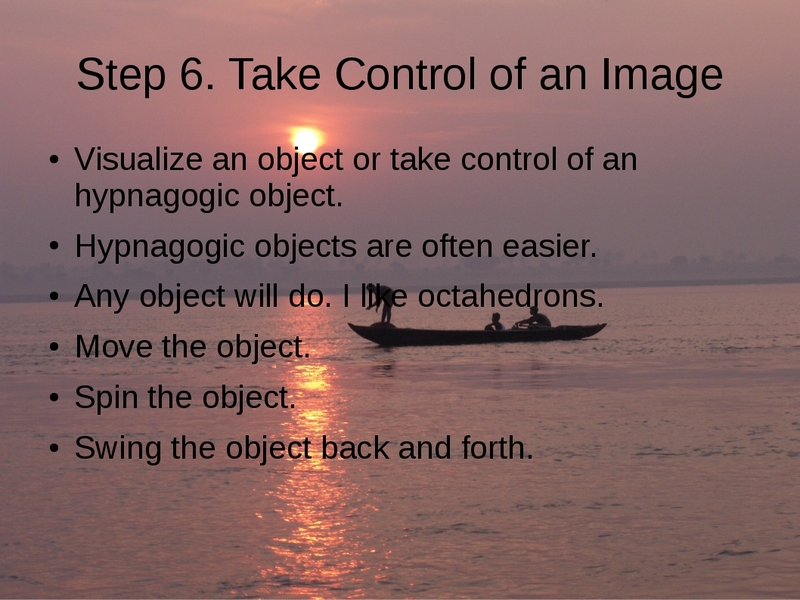 You basically need to close your (astral) eyes and push your awareness forward as hard as possible, using your imagination to propel yourself blindly forward. Even though you can't see, blatantly ignore if your senses tell you you're still stuck to your body. Keep pushing forward and know in your heart that your astral body is moving, and keep your eyes shut. 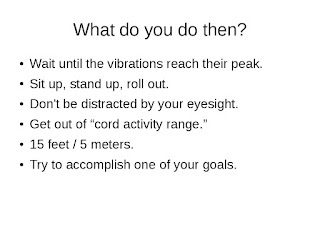 Once you're safely 15 feet (5 meters) away from your body (what Muldoon would say is out of "cord activity range") you can open your eyes and you're free to roam. Now that you know the secret, here's where Daniel Kai's book shines. 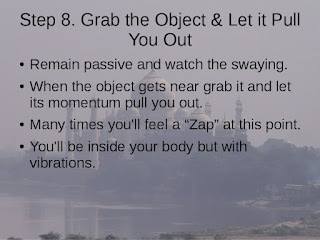 Chapter 7 is "How to Induce Your Own Out of Body Experiences." 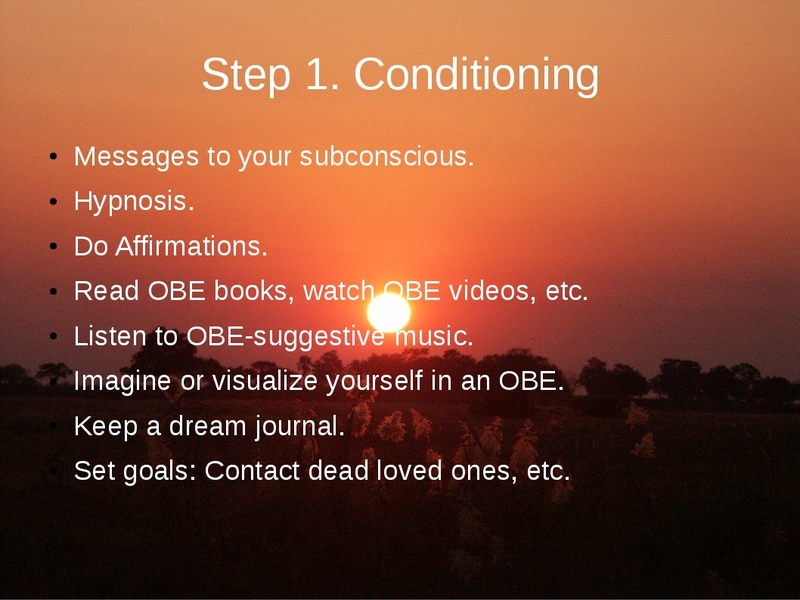 He lists three methods to induce an OBE: (1) The "day nap" method, (2) The "electric blanket" method, and oddly enough, (3) Magic mushrooms. Let's eliminate magic mushrooms (psilocybin) right away. It's a powerful psychoactive hallucinogen, not to mention it's illegal. I think Kai just threw it out there just so he could list a third method. If you're interested in "magic mushrooms" aka psilocybin, watch the excellent documentary titled A New Understanding: The Science of Psilocybin. For the record: I've never tried psilocybin, but I wouldn't mind doing it with qualified medical and/or scientific supervision. DO NOT even think about using this drug without expert doctor's supervision. The other two methods ("day nap" and "electric blanket") are just variations to induce awareness during sleep paralysis. With "day nap" you basically take a nap during the day, in a somewhat uncomfortable position, like sleeping at your desk. With "electric blanket" you use an electric blanket to make yourself slightly uncomfortably warm. Deprive yourself of sleep. 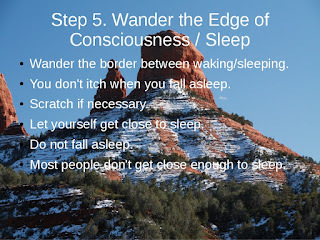 Sleep 6 hours or less for several nights. Thinking about it, yeah, I'd often have ASP when I was sleep deprived. Hmm. Maybe that's why the WBTB (Wake Back To Bed) method is so effective: interrupting sleep has almost the same effect. Sleep in a slightly uncomfortable bed (or desk chair, etc.) 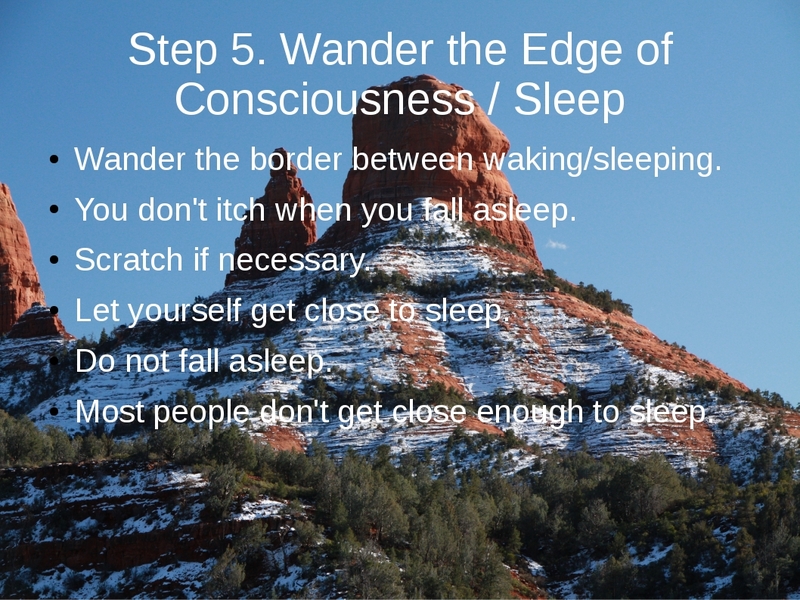 so you don't sleep too deeply. Well, I've never given this much thought, but it makes sense. 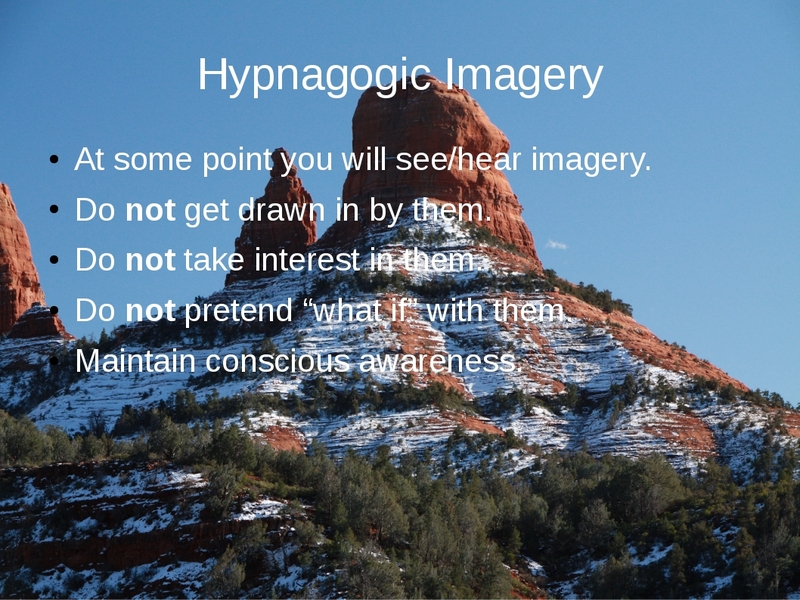 You don't want your awareness to get buried too deep. I have had a lot of OBEs when I'm away from home: hotel rooms, friends' houses; lots of place where the bed is slightly uncomfortable compared to the one I'm used to. Take a nap in the middle of the day. This makes good sense too. 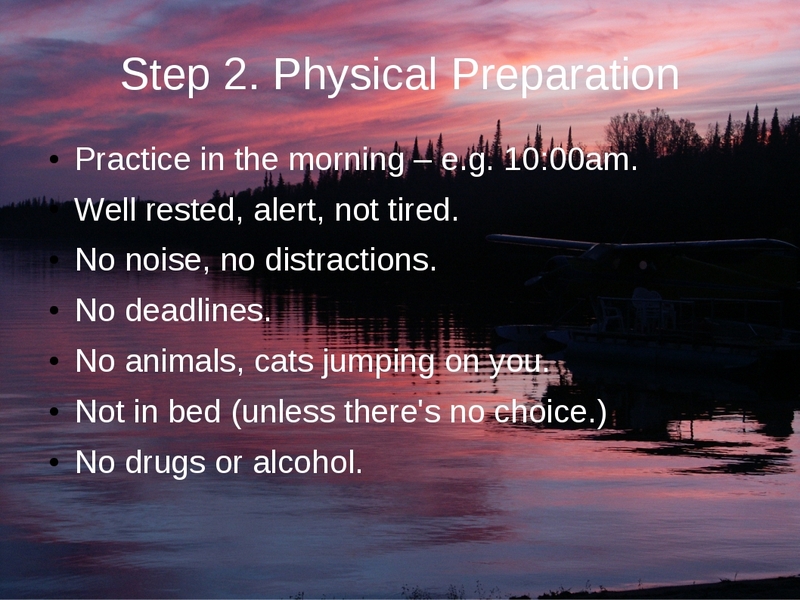 You don't want to practice OBEs at night when you're tired. I prefer mid-morning or afternoon. Use an alarm clock to make sure you don't sleep too long. I'm not sure I agree with this, but okay. Unfortunately, there wasn't much more to the book. I would like it to have been much longer, with some detailed OBE narratives. The writing, grammar and spelling are all professional. Oddly, the pages are not numbered, despite having a detailed table of contents that gives page numbers. Go figure. I give this book a thumbs up. On the negative side, it's small and there's not much information. It's not a Robert Bruce tome. There aren't really any OBE narratives, other than just a taste. On the positive side, it has some unique ideas not found in other OBE books. This wasn't just a rehash of old ideas. It caused a few lightbulbs to turn on over my head. 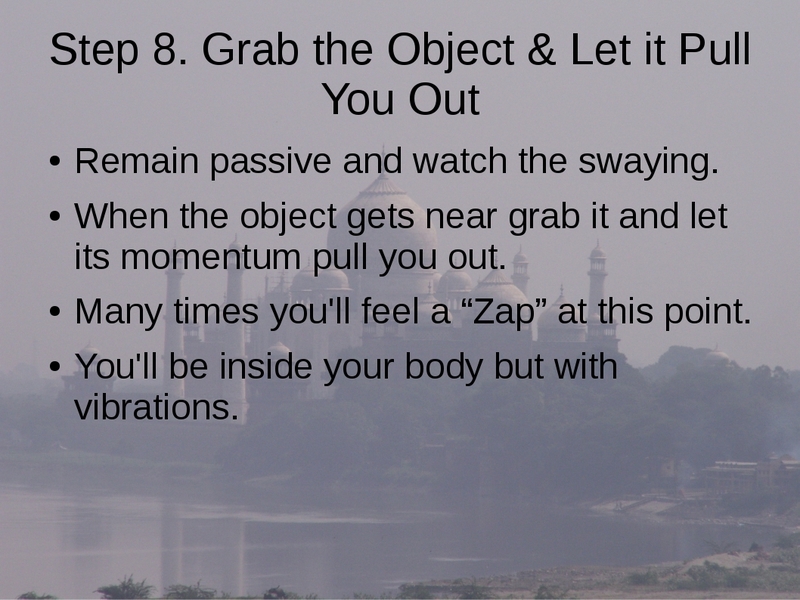 Many times throughout the years, I've been tempted to make an OBE instructional video. I was going to do it more than a year ago. 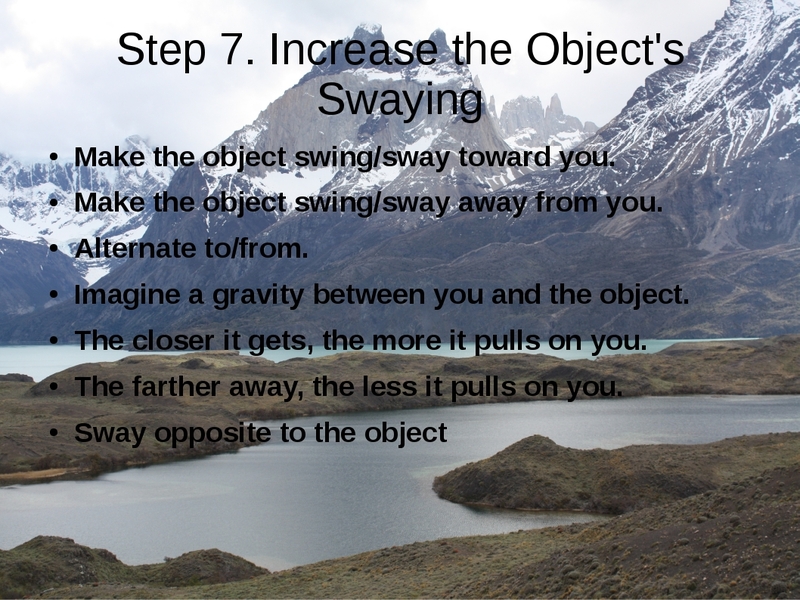 I even dug out some of my favorite photos and created a presentation describing my favorite OBE technique, but then I just got too busy and let myself get distracted. Until now. This weekend I ran across my presentation and had some free time, so I decided to get out my GoPro and record this 13-minute video to explain my OBE technique. 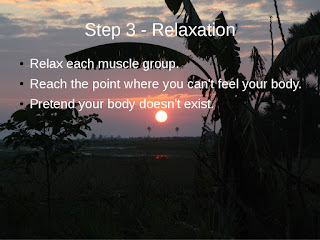 This is basically the same technique given in chapter 24 of my first book, Out of Body Experiences: How to Have Them and What to Expect. It's not professional quality and I'm not a polished speaker. There are a thousand OBE techniques; this is just the one I prefer. These are just the basics; there are thousands of "best practices" and pitfalls to avoid. I could literally talk for hours about different tips, techniques and things to try. These are just the very basics. Enjoy the video, and I hope to see you on the astral plane. 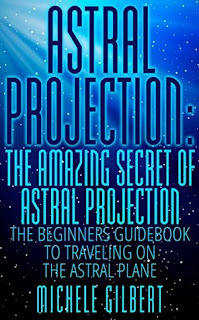 Today I'm reviewing the book Astral Projection by Michele Gilbert. This is a very short book: I counted only 15 double-sided pages, but most of them were not helpful: title page, dedication, table of contents, about the author, and so forth. Needless to say, there's not much content. The pages are a decent size, but the font is so tiny I could barely read it. The pages aren't numbered, which makes it hard to reference. The book was obviously converted to a book from a web page, because it says things like, "You are just one click away! Follow the link below and sign up to start receiving awesome content". 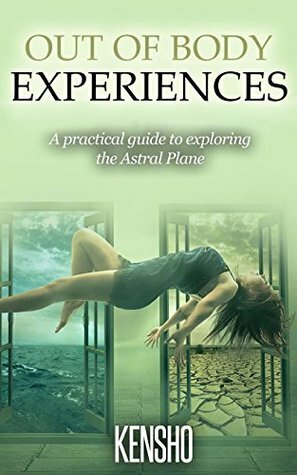 The chapter titled "The History of Astral Projection" briefly talks about the ancient Egyptians, the Bible and the Koran in passing, but really says nothing about the modern history: Sylvan Muldoon, Oliver Fox, Robert Monroe, or any of the research that's been done. It's just basically says it has a long rich history, but doesn't give any concrete details. Gilbert talks about two main ways of achieving astral projection: Through lucid dreaming and through meditation. "By lucid dreaming, you're accessing the astral plane and you're capable of finding some very real and some very tangible answers that you may have questions to. By travelling out onto the astral plane, you're going to find a lot of strange things that are going to be described later on to you, but just take my word for it right now. You're going to find it weird. But, I want to start out with the beginning, because that's where everything should start out." ...But she never does. 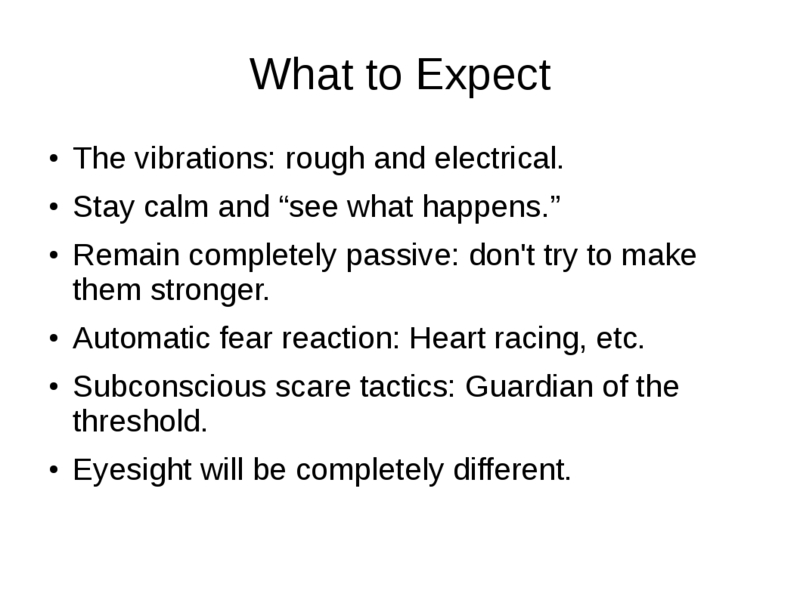 She really says nothing about what to expect; she doesn't even talk about the vibrations, or pre-OBE phenomena such as hypnagogic imagery. She doesn't talk about spirits, or about anything really. "Fall asleep and dream. When you finally hit a moment where you're dreaming, there's a part of your mind that knows you're dreaming. 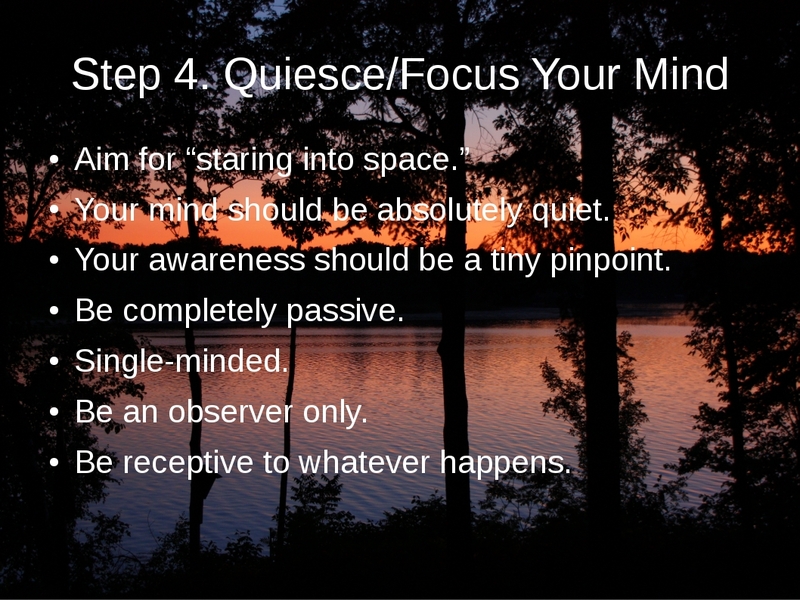 While your subconscious is running amok and you're reacting to everything around you, your mind and your awareness is still turned on. You have to be able to hone in on this awareness. You might find that you already do this on occasion. All you have to do is be aware that you're dreaming. Rather than running through the door or walking around the room where no one has pants on, stop and just take everything in." Really? 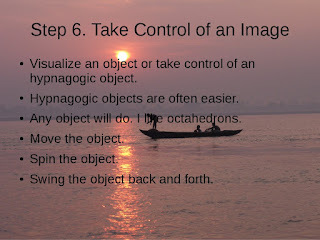 These aren't instructions; if I was already aware I was dreaming, the dream would already be a lucid dream by definition. 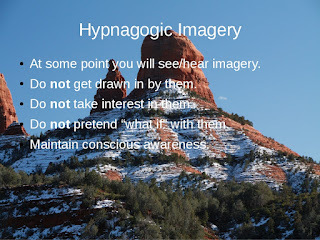 She doesn't say anything more than to "hone in" on the awareness. The chapter on "The Meditation Route" is almost as bad. She doesn't even tell you to quiet your mind. She doesn't suggest any specific visualizations. She only gives four tips: (1) Seek out someone who has done astral projection and ask for their help, (2) Look into the power of crystals, (3) Look into chakra work, and (4) Test yourself. Gilbert doesn't go into details on any of these things. There are no concrete OBE techniques. There are no OBE narratives. There's just...nothing. "At first, you might find out that you're going to be creating the world that you're experiencing as you're projecting. So the best way for you to see if you're really projecting is to test yourself with studying things around your house when you're just starting out." In her "Conclusion" chapter, she thanks you multiple times for downloading her book. Later, she tells you all about her upcoming book on Wicca. Next, she gives you a list of other "books" she's written and invites you to "click" the links below. And to leave positive feedback on amazon.com. The last page has "Additional Recommended Reading" which contains a list of five books: Erin Pavlina's book, The Astral Projection Guidebook, and William Buhlman's book Adventures Beyond the Body, and three others that have absolutely nothing to do with astral projection: One on angels, one on astrology, and one on palmistry. Really? Is that all the research she could do? "...she enrolled at Brooklyn College and majored in English." Really? Really? Gilbert obviously makes money by mass-producing books by doing minimal research, throwing together poorly written draft documents, then throwing them onto amazon.com for money. The only good thing I can say about this book is that the cover is beautiful. Thumbs down. Don't waste your money on this book. They can't all be good, folks.